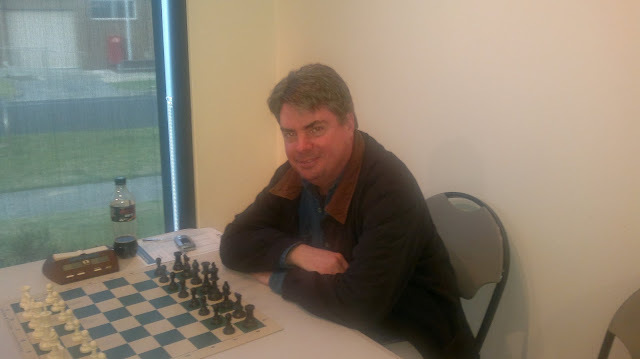 Hobson's Bay Chess Club ran the 30th edition of their Best in the West Weekender in the Western Melbourne seaside suburb of Altona this past weekend. It was also the biggest turn out for this event with just under 50 players competing in the 5 round event. The tournament was arbited by David Cordover who had a trouble free weekend as the tournament was played in friendly fashion. Top seed was visiting FM Greg Canfell from Sydney, and Greg won the tournament with a picket fence 5/5. Young MCC member Jack Puccini had a great tournament finishing clear second on 4.5, ahead of a group of very strong players: FM D. Dragicevic, FM D. Stojic, Tan, Matheson and Penrose. The top local player was Dean Hogg who was among the next group on 3.5.